Who has Barby got in his Quaddie on a massive day in Adelaide? 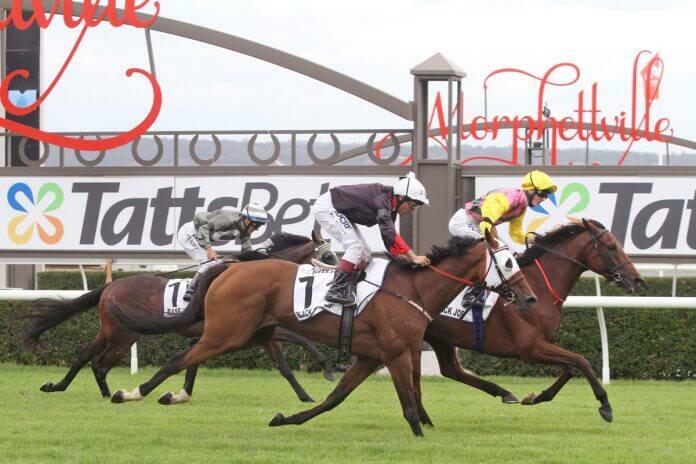 It’s a massive day of quality racing in Adelaide, and SA expert Aaron Barby brings you his Morphettville Quaddie tips. This is easier than RN Irwin Stakes last start, when held-up in straight & lost plate, but finished close up behind the likes of Viddora & Snitty Kitty. Maps well today from good draw. Forget first-up run at Mornington when never had clear running, then kept finding line from back & wide last start at Caulfield in race dominated by on-pace runners. Should be nearing peak now at third run in & looks suited by predicted above average pace. Disappointing at last couple of starts but is a much better horse than that. Trialled strongly leading into this preparation, drops in weight significantly & will be suited by predicted above average pace. Very consistent filly. Lack of speed in race, so expect her to push forward & race handy from wide draw & give them something to run down. Maps perfectly handy to speed from inside draw. Same scenario here last start & bolted in. The one to beat. Waller trained last year’s winner Egg Tart & this horse has had a similar set up. Strong horse that will run the 2000m right out. Not much between it, Think Bleue and Savacool at its last couple of starts. Has hit line strongly with margin to third on both occasions. Value runner. Competitive at the highest level and now back to mares grade. Has shown liking for this track/trip – solid fourth in this race last year before second in the Goodwood. Let down with nice turn of foot here last start and beat Viddora comfortably in the end. Drawn well and has Jamie Kah, which is a big positive. Forget last start failure in Lightning Stakes when had cardiac arrhythmia. Trialled strongly leading into this and maps well from good draw. Class runner. Has best ratings profile out of these. Will strip fitter from solid first-up 3rd at Randwick and better suited up to the mile. Happy to be ‘one-out’ with the favourite here. The value is in the earlier legs and if alive coming into the last, is easy to lay off.